Office suite to let, comprising of approximately 140 sq.ft. 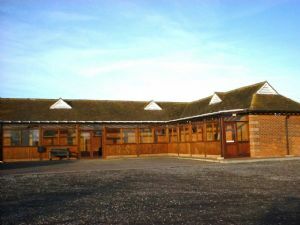 in part of a refurbished former stable building located just outside Charing. Free off road parking and communal kitchen and Wc facilities. £70 per month, service charge to cover cost of cleaning office and communal areas, Building Insurance, CCTV, Monitored alarm, water rates and private drainage. Perfect office for small business. Holding deposit of £100 for electricity used on site, returnable at vacation of property. Tenant is liable for Business rates. Small business relief may apply and Tenants should make their own enquiries. Rental £195.00 per Calendar month, Deposit 2 months rental Term: Negotiable short term lease available, held outside of the Landlord and Tenant Act 1954. Available: end of April. 2019 Legal Fees: Tenant to pay a contribution of £500 + VAT towards Landlord legal fees.